Asian Americans made their mark at the voting booth and on the ballot this year in Illinois. 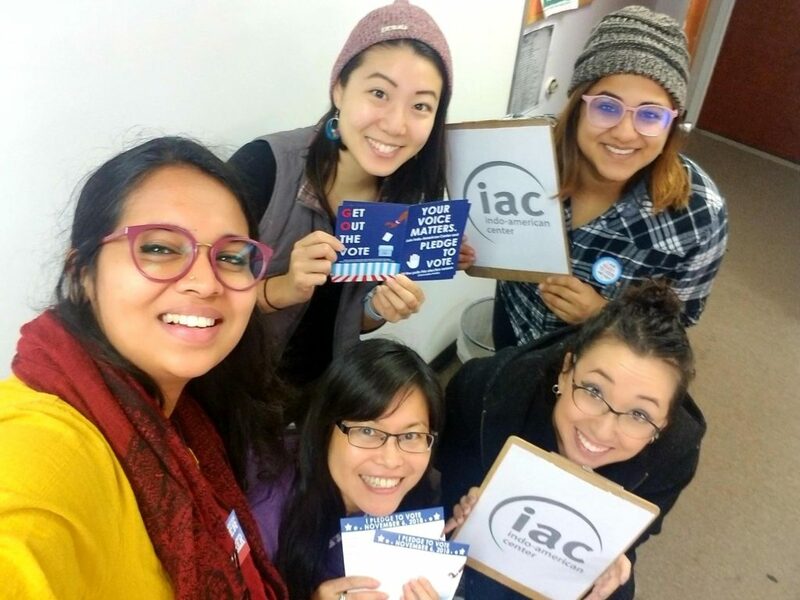 Community groups mobilized thousands of voters to the polls while Asian American elected officials made gains in the Illinois General Assembly. The historic Election Day results showed two new Asian Americans will join Representative Theresa Mah in the Illinois General Assembly: Senator-elect Ram Villivalam and Representative-elect Jennifer Gong-Gershowitz. In addition, Congressman Raja Krishnamoorthi will return to Washington, D.C. for a second term. Senator-elect Villivalam will be the first Asian American to serve in the Illinois Senate and first Indian American to serve in the Illinois General Assembly, representing 21 neighborhoods in the city of Chicago along with portions of Lincolnwood, Skokie, Morton Grove, Niles, Glenview, and unincorporated Des Plaines. The Asian American community rallied behind a message of equity and justice for communities across the state of Illinois. Advancing Justice | Chicago partnered with Indo American Center, Alliance of Filipinos for Immigrant Rights and Empowerment, Coalition for a Better Chinese American Community, Vietnamese Association of Illinois, and Lao American Organization of Elgin this election season. Together they made 73,000 calls to registered voters in Illinois and monitored over 75 precincts to protect voting rights. Students at Lake View High School also conducted exit polling of voters at the school’s polling place.